we play tourists in chattanooga. Revamped blog design, gearing up for the new year and new focus. Today, I blogged about my favorite author, writer, novelist, playwright, director, liberal, and feminist. Merry Christmas to all the Alabama Bloggers! 7. Y'all Connect - An easy way to cut the clutter in your Inbox. 8. Project Bulk - Latest numbers, as my weight keeps dropping. 9. 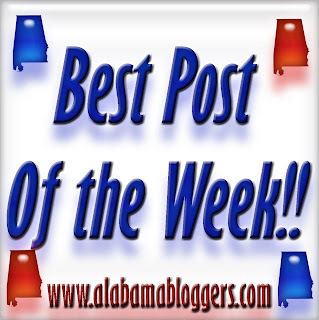 Birmingham Blogging Academy - My favorite comment communities. Running, new shoes, bathing our ginormous animals, and a little bit of complaining.